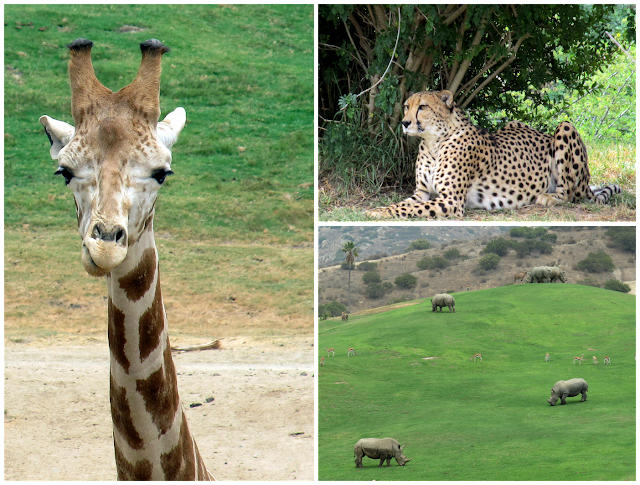 You don't need to travel far to enjoy a Summer Safari with the animals at the San Diego Zoo Safari Park. Enjoy the sights and sounds of Africa as you are greeted by African Chief Kahle and the beating of an African drum circle. The children can make an African bead bracelet and get their very own safari hat for free at Safari Base Camp. The Summer Safari entertainment is awesome. You can plan your day ahead of time when you view the show schedule on the San Diego Zoo Safari Park website - and make sure to save some time to see the Animal Encounters at Safari Base Camp. 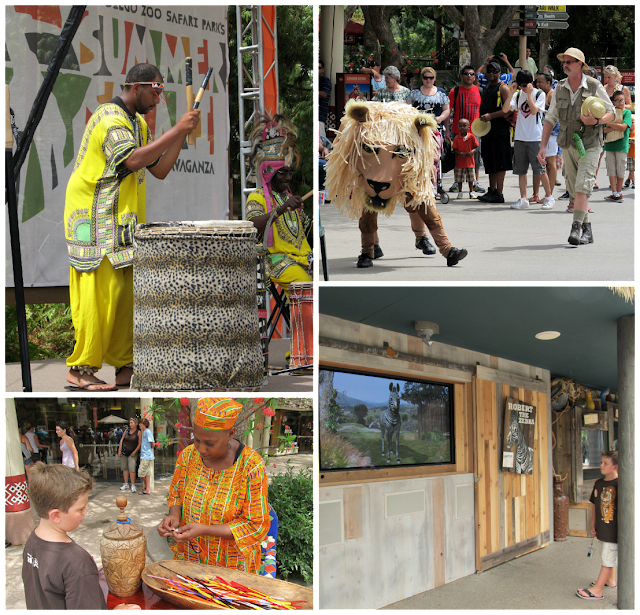 Your Summer Safari won't be complete without taking part in the African Extravaganza that occurs on the Summer Safari Stage. It is filled with music, dancing, drums, and more. Check the map for exact show times. Even though we visit the Safari Park on a regular basis, Summer Safari is always something we look forward to. There are so many great photo opportunities and you really feel like you are on safari with the authentic Summer Safari entertainment. Along with the sights and sounds of Summer Safari, you can enjoy what the park has to offer year-round. Take a ride on the Africa Tram to see rhinos, cheetahs, giraffes, and wildebeest or maybe you want to book one of the many Behind the Scenes Safaris to get a closer look at the park wildlife. Walking the park is a favorite of mine - Gorilla Forest, African Outpost, Lion Camp, Elephant Valley, Condor Ridge, and of course Tiger Territory. This annual event is still going strong, so get there before it ends on August 19. Summer Safari hours are 9 a.m. to 7 p.m. so there is lots of time to see everything and enjoy a day with your family at the San Diego Zoo Safari Park. You can also follow the San Diego Zoo Safari Park on twitter and Facebook to get details of new events and my favorite, new animals births at the park.